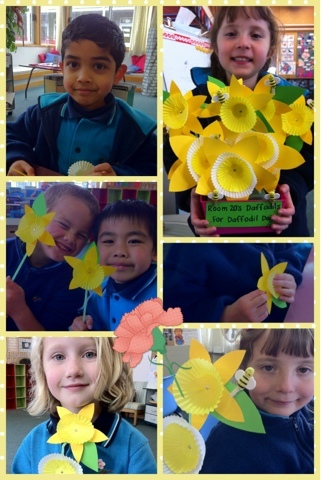 Today we made Daffodils for Daffodil Day. We used straws, cupcake holders, muffin holders and split pins to make them. Have a look at our cool daffodils.